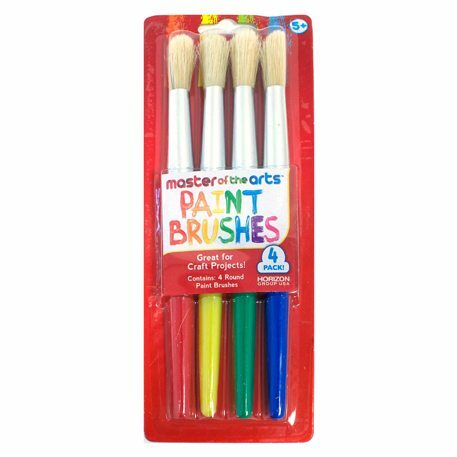 Use these 4 Round Paint Brushes to create your own work of art! Paint with acrylic or washable paints at home or in the classroom! Brushes come with a thick handle which is easy for a child to hold.